Is summer flying by for you? It’s crazy to me that July is almost over. Where did time go? We’ve been keeping busy this summer with lots of outdoor fun at my parent’s house on the water. 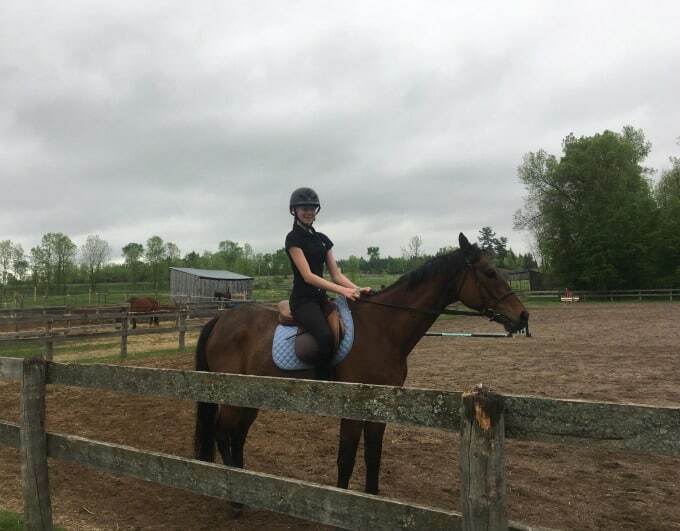 Bridget has been working lots at the barn with the horses and continuing her riding lessons. She’s had a few competitions this summer as well. As for me when I’m not driving Bridget around, I’ve been trying to stay active. I love going for walks and playing a fun game of catch with my cousin in the backyard. It’s been a fun summer so far. Before we head out for whatever adventure awaits that day, I make sure that my family has applied sunscreen. We have fair skin and burn easily. For me, I go from pasty white to lobster red so I need to be very careful in the sun. Sunscreen is a must! 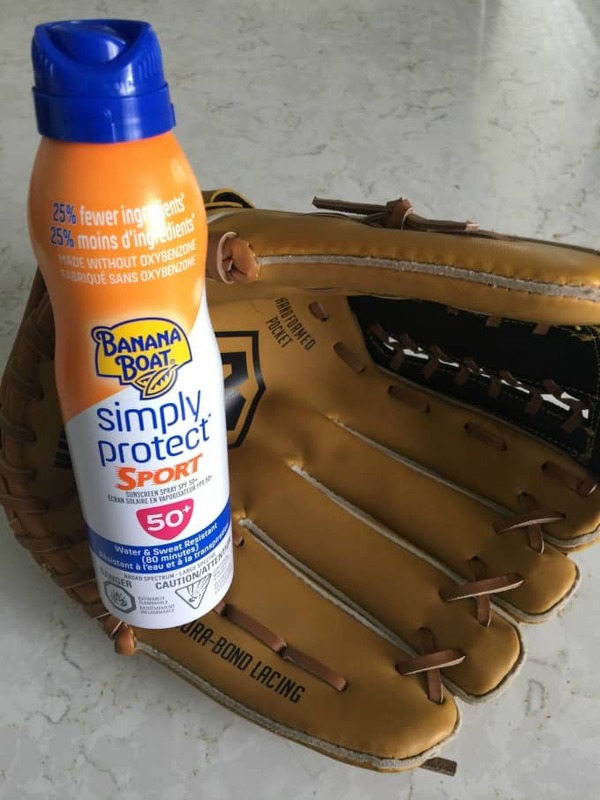 On those days when we are going to be active, I choose Banana Boat Simply Protect Sport Sunscreen Spray. I love that it is water and sweat resistant for up to 80 minutes. I sweat a lot in the summer (it’s kinda embarrassing, actually). 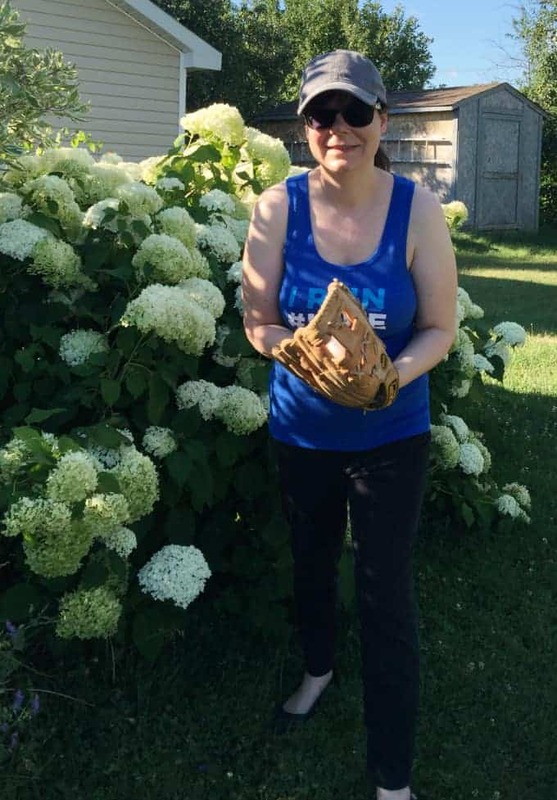 It keeps me covered so I can enjoy a lively game of ball in the yard with family. I appreciate the convenience of the spray bottle so I don’t have to worry about getting anything on my hands. It comes out as a light mist that is lightweight and not at all greasy. In fact, after I spray it on, I don’t even notice it at all. The smell is very mild and I can only smell it if I put my nose right up to my skin and give a good sniff. Bridget has been taking the sunscreen with her to the barn. 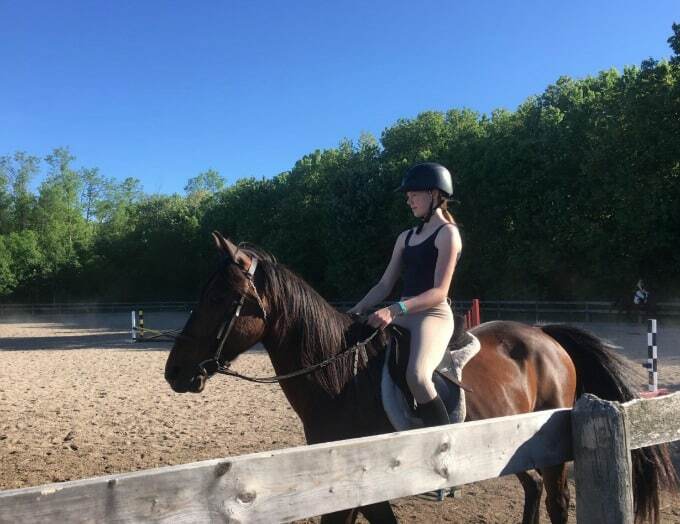 She’s outside with the horses most of the day and I want to make sure she is protected from the sun. Banana Boat Simply Protect Sport Sunscreen Spray gives you effective broad-spectrum UVA/UVB protection AND it has 25% few ingredients. It has NO oxybenzone or added oils and fragrances. We have sensitive skin and have had no issues with it. It does the job it’s supposed to do – protecting our skin from the sun during outdoor activity. It is available in SPF 50+ and also comes in a lotion format (SPF 50+). I think the most important thing to remember is to choose a sunscreen that best suits your family’s needs. Banana Boat Simply Protect Sport Sunscreen Spray works great for my family and we will continue to use it. Visit Banana Boat to check out their new Simply Protect line of sunscreens and find one that works for you and your family!